My husband that is. He is my Zeke Braverman. We had a rough start when he came home from deployment. The transition nearly tore us apart. I told him that if he ever got deployed again, that I would be Kathy Bates in that movie Misery, and consistently break his legs until the war was over. We have learned to communicate, understand each others needs and we are still learning. We are both dedicated to our marriage. I am lucky for this. These last 3 years have been tough on him. They have been tough on us. We have undergone chiropractic, physical therapy, pain management injections, one surgery, numerous rescheduled follow up appointments, swim therapy, narcotics and other drugs all to which have resulted in minimal relief for him. Last month we decided to go to New England Baptist to get an opinion from a renowned orthopedic surgeon. We met with the PA. He looked at his CT scan and he told Josh what his symptoms were (he was 100% on point) and explained to him that he has a fracture in his spine. The only answer to this pain would be spinal fusion. ALIF (anterior lumbar interbody fusion). About a year of recovery. We had seen 4 doctors prior to this and not one of them mentioned spinal fusion or a fracture. At this point we assumed that the local neurosurgeon that did his first surgery, probably wasn't very good. Yesterday, we went to Brigham and Women's hospital to meet with a top neurosurgeon for a second opinion. This doctor was recommended to me by the same woman that had helped me with my mother the previous year (read that story here). She is a head anesthesiologist at B&G and I value her opinion. So yesterday, this doctor took us an hour early. Didn't review my husbands paper work. Looked at his CT scan and told him that his CT looks good but he has the back of an 80 year old man and that he can tell that he has worked hard in his life. We were shocked to hear that his CTscan looked "good". At that point, I told this doctor that he was our second opinion. He asked who we saw previous and when I told him the doctors name he replied with "What did he recommend? Nuts and bolts?". He said that he would never recommend fusion based on this CT and to call back that doctor and ask him if it was him would he do it? He then informed us that the The Baptist hospital is a "business" hospital. Meaning they don't have to provide treatment for you if your insurance doesn't pay them the amount that they want. Health care should not be negotiable. If healthcare is going to keep going in this direction, I think that everyone in the United States should be provided a healthcare advocate. Someone who doesn't work for insurance or the hospital, but works for you. Someone who can hold doctors accountable. The doctor then asked if we would mind if he took some x-rays and did more test. Josh told him that we couldn't today because it has to be approved by workmens comp. The doctor then rubbed his face (like you do when your frustrated) and responded with "And that's why "they" wanted to do spinal fusion, because Comp pays for that". We agreed to reschedule for more tests so that this doctor can hopefully find out what is wrong. The doctor at Brigham and Women's wasn't warm and fuzzy like the first doctor. But was the first doctor a salesman? This doctor was matter a factually. Flat. Brilliant. But, were we there to make friends? No. We left the hospital discouraged. It's the first time in my marriage that I felt helpless to my husband. Defeated. Another dead end. And there was nothing that I could do. I have spent hundreds of hours online doing research and health grade checks, praying, hoping and wishing that we get some relief. Yesterday was my AHA! moment. He may have more "issues" than I do, but he is strong and he is the glue. I may be able to calm the storm, forgive and forget, handle the chaos and manage the outcomes, but he is the one the keeps pushing through this tough time in our life. This back injury has become "our" issue. But it his daily life routine that is affected. He is the one that cannot do everything that he wants. He has the restrictions. He always has my best interests in mind. Yes, he drives me insane when he's having a bad day. But he's been out of work for 3 years, in pain, and stuck home! I don't even think that I could handle it. He can't hold Charlotte for much longer than 5 minutes, while I can walk around all day with her on my hip. I know that he hates his injury. I commend him for handling this as strongly as he has. With his back ground of PTSD, this recipe could warrant a irreversible outcome. Someone once said to me "Don't worry, he has 9 lives". I believe this. But I also believe that he needs a break. Even Zeke needed a break. *Zeke Braverman is a fictional character on the show Parenthood. He is a hard headed, stubborn old man. 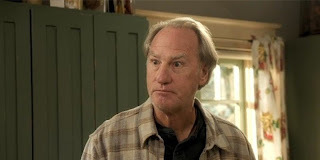 He is the patriarch of the Braverman's and loves his family more than anything. If you haven't seen this series, you are missing out. Hoping you guys get some answers soon!! And love Parenthood!! ZEKE!!! Ugh!! I loved Parenthood, and Zeke was the glue. Hope you guys get a break and some answers. How frustrating for him not to get relief and a plan of action. This is so beautifully written, Jess! <3 So sorry you guys have to continue going through this after all this time... praying for relief for Josh soon! So sorry your family is going through this. Health can be so frustrating. Stay positive and continue to be strong!